A Bharatiya Janata Party (BJP) leader named Gajraj Jatav on Friday announced cash reward of Rs. 10 lakh to anyone who would sever tongue of Jammu and Kashmir Separatist leader Mirwaiz Umar Farooq for supporting Pakistan after it defeated India in Champions Trophy finals. Talking to ANI, Jatav said he sticks to his stand on Mirwaiz and would give cash reward of Rs. 10 lakh to the person who would bring tongue of the Kashmiri separatist leader. 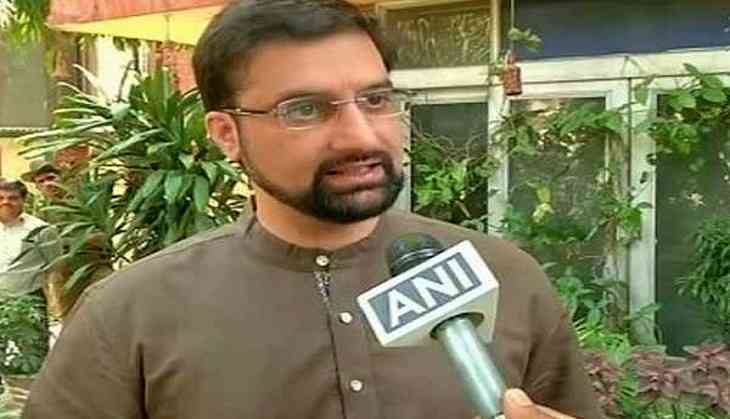 "The government should immediately hang Mirwaiz to death for supporting Pakistan after the Champions Trophy final match. If the government doesn't send him to the gallows then I, Gajraj Jatav, announce cash reward of Rs. 10 lakh for cutting tongue of Mirwaiz," Jatav added. He lamented that these people eat and live in India but praise Pakistan. He added that people like Mirwaiz must learn from former president late A. P. J. Abdul Kalam who contributed for shining India's name. He, however, refused to comment on the release of 15 persons who were arrested in Burhanpur for raising Pro-Pak slogans and bursting crackers after Pakistan's win in Champions Trophy final match against India on June 18. Jatav doesn't hold any organizational post in the BJP, but his wife holds a post in a local body.